Officials in Athens and Ankara are working to facilitate a meeting between Greek Prime Minister Alexis Tsipras and Turkish President Recep Tayyip Erdoğan on the sidelines of a NATO Summit on July 10, Greek newspaper Kathimerini reported. 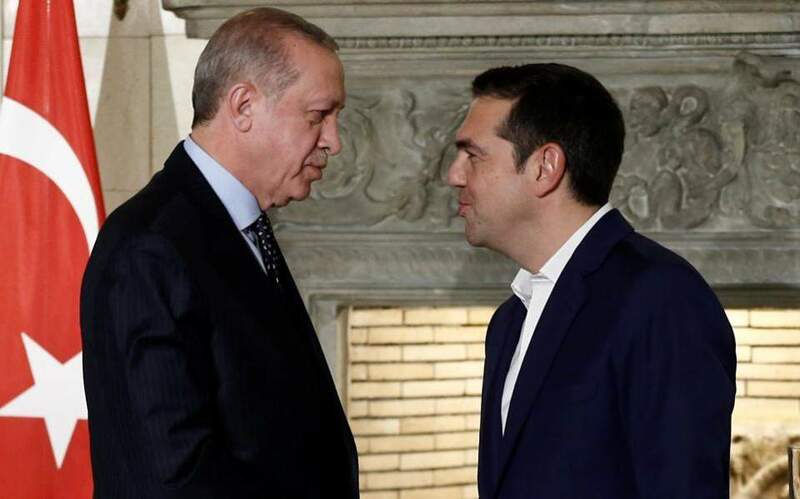 The two leaders agreed to meet during a phone call on Monday made by Tsipras to Erdoğan to congratulate him on his victory in Sunday’s presidential and parliamentary elections, the daily said. Erdoğan received 53 percent of the vote and his Justice and Development Party (AKP) and far-right Nationalist Movement Party (MHP) allies secured a majority in parliament. During his call to Erdoğan, Tsipras stressed the need for the immediate release of two Greek soldiers who were detained by Turkish authorities after reportedly straying across the border in bad weather early in March, Kathimerini said. The fate of the two soldiers has been one of a number of ongoing sources of tension between the NATO allies. Tsipras and Erdoğan also discussed cooperation between Athens and Ankara in the context of the EU-Turkey Joint Declaration on Refugees, the daily reported. Officials in Athens and Ankara are busy trying to lay the groundwork for a meeting, even a brief one, between Prime Minister Alexis Tsipras and Turkish President Recep Tayyip Erdogan on the sidelines of the NATO Summit on July 10.